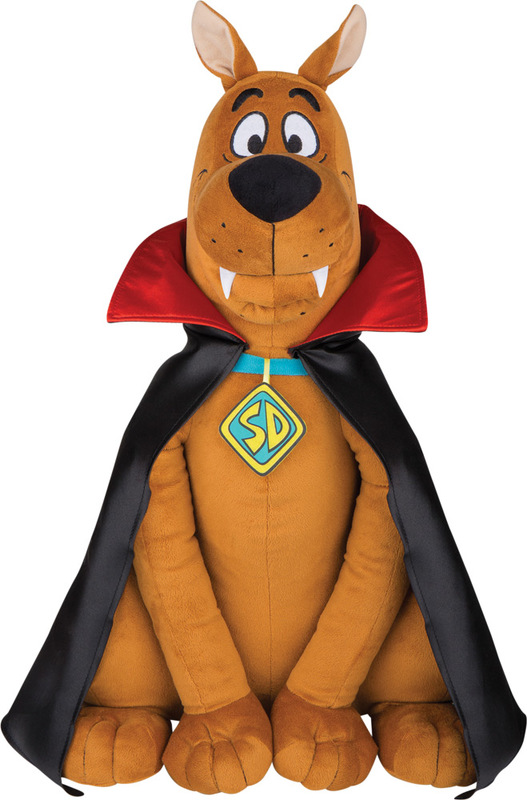 Unique Scooby Doo plush stuffed figure is a great addition to your fun family Halloween scene! Black vampire cape with red-lined collar and fangs give him that Vampire look! Made of Fabric,90%; Plastic,10%. Indoor or covered porch use only. Measures approximately 24 inches tall, 16 inches wide, and 14 inches deep.